For kitchen and bath remodeling services, homeowners in Scottsdale, Arizona, and surrounding areas have trusted Premier Kitchen & Bath since 1994. 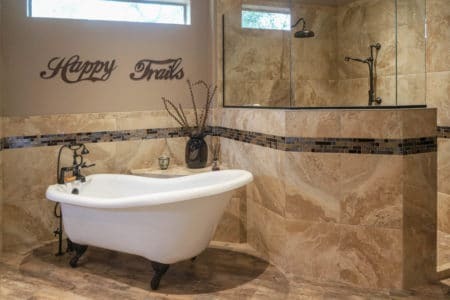 With decades of experience in home remodeling, our company has a proven track record of success that is showcased by our ratings and awards, which include an A+ rating with the Better Business Bureau, a place in the Top 500 List by Qualified Remodeler, and multiple Best of Houzz awards. A complimentary “Discover” meeting – We’ll discuss your remodeling ideas, preferences for design and functionality, budget, and more. The “Design and Planning” phase – We’ll create several design concepts and start to bring your remodeling dreams to life. The “Revise” phase – We’ll revise your preferred design as many times as it takes for you to feel 100 percent satisfied. The “Build” phase – Our experienced craftsman will build out your remodel to the very highest standards in craftsmanship. 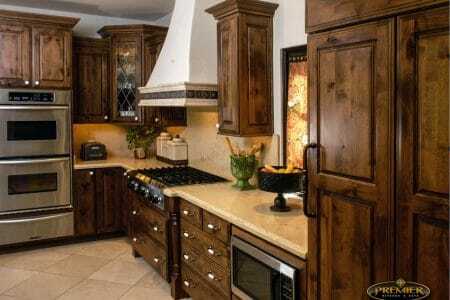 The remodeling process that we follow was designed by us with Scottsdale, AZ, area homeowners in mind. It’s convenient in that our customers needn’t coordinate with multiple remodeling contractors to finish one project – instead, we’ll manage the project from beginning to end. To learn more about the kitchen and bath remodeling services that we provide to homeowners in Scottsdale, AZ, and surrounding areas, visit or contact Premier Kitchen & Bath today. One of our friendly and knowledgeable designers will be glad to assist you.